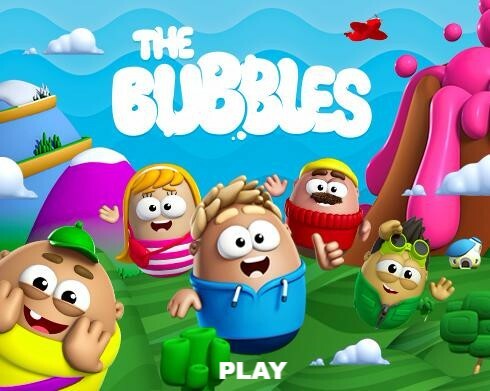 The Bubbles is a comedy adventure animation series for children and adults. It is the story of a goofy professor Floyd and his best friend Marty. Their planet is made of a bubble, and the creatures living there are bubbles too. Having developed into a civilisation and built cities, life for the Bubbles seems to be one big bed of roses. Each episode introduces a new idea, a new character, object, invention, plant or animal - something surprising, something that stimulates the imagination and builds anticipation. In the world of Bubbles, any crazy, whimsy can turn out to be real: flowers can talk; tortoises know the whole history of the universe; food is stored on clouds; a dragon turns out to be a talking fruit; sausages grow on trees, and much more.